Nimble and ready for action, the super lightweight Trainfusion Nine 3.0 is built for everyday comfort. Breathable mesh adds comfort while flex grooves on the sole support the natural movement of the foot. 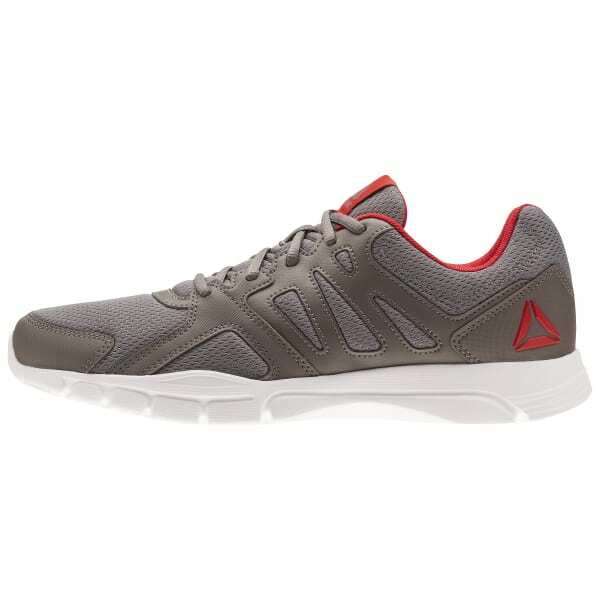 The small Reebok logo on the heel panel updates this shoe's clean, athletic style. the 3D Ultralite midsole makes this our most lightweight yet durable foam combination. The small forefoot bump in the midsole cradle stabilizes the foot for lateral movements.